The event is free but seating is limited so make sure you get there early for a seat! York PEN presents the final instalment of the year long series, ‘Authors & Activists’, concluding with an evening with Larry Siems, editor of the recently published ‘Guantanamo Diary’. 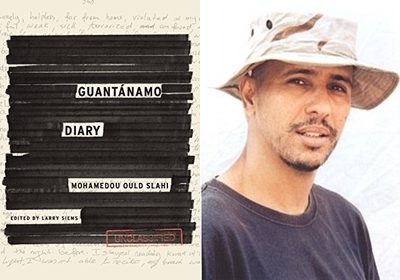 The diary was written by Mohamedou Ould Slahi, during his 12 year long (and continuing) sentence in Guantanamo. The diary was started in 2005 and after years of litigation the book is finally being published. Siems will discuss the process he went through in editing the diary as well as give a reading from it. The evening will end by turning to the audience, who will be given the opportunity to ask Larry any questions about his work or the wider issue of Guantanamo, freedom of expression issues and human rights. This video gives a really interesting background to the book, so check it out!